Usually, at this time of the year, editors look back on the major stories of the past year. Let’s be different and look forward to the New Year! 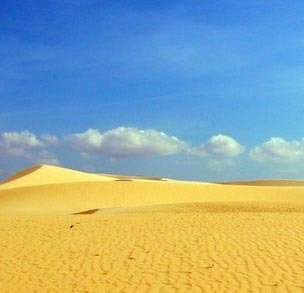 Not that it’s going to be any more pleasant than the old year; it’s just better to prepare for what’s coming than to reminisce about what’s come and gone. Of course, the elephant in the room is the economy. But what about the new political realities, which will be driven by the failing economy, that the industry must prepare for? “The two traditional means by which pharmaceutical marketers haverelied on for many, many years to encourage the uptake of newpharmaceutical products — direct-to-consumer (DTC) advertising and physicianmarketing — are about to change,” warned Mark S. Senak, J.D., SVP,Fleishman-Hillard and author of Eye On FDA Blog, in a presentation at the recent DTCin the Era of Consumer Choice conference. Senak summarized allthe possibly policy changes coming down the pike that will specificallyimpart pharmaceutical marketing. He also suggests what the industryshould be doing to meet these challenges. This article is summarizes Senak’s presentation, which he later expanded upon in a YouTube video. “While free samples clearly play a valuable role in helping millions offinancially-struggling patients get access to the medicines they needto live healthier lives, patients should know there are other options,”said Pharmaceutical Research and Manufacturers of America (PhRMA)Senior Vice President Ken Johnson. Among the “other options”patients have to get access to the medicines they need are the over 200Patient Assistance Programs (PAPs) sponsored by pharmaceutical andbiotech companies. 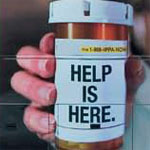 Patient assistance programs are offered bypharmaceutical companies to help low-income, under-insured, oruninsured individuals and families afford necessary medications, withreduced-cost or free prescription drugs. Market Strategies’ 2008 MSImage Oncology Patient Assistance Program is a syndicated study that identified what oncologists and oncology practice managers perceive to be the top pharmaceutical PAPs in the industry. The survey identified how PAPs influenceoverall corporate image among physicians, what performancemeasures drive a pharmaceutical company’s PAP image, and whichcompanies are perceived as having the best PAP. This article reviews this research with comments from Peter Carlin, Senior Vice President of Market Strategies. 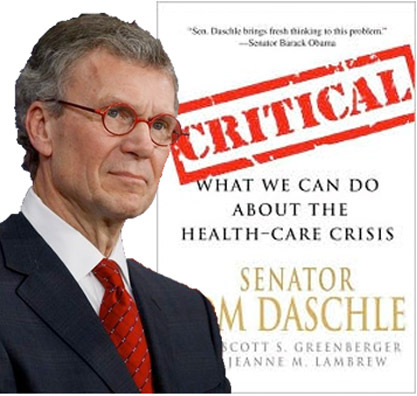 “The time has come, finally, to fix our broken health-care system,”says Tom Daschle in the close of best-selling book, “Critical: What WeCan to Do About the Healthcare.” Daschle, of course, is Obama’s choicefor Secretary of Health and Human Services. Daschle will also lead anew White House office of health reform. For those among you who do not havetime to read Daschle’s book, Pharma Marketing News has done it for you.This article summarizes the main points Daschle makes and reveals hisplan for “fixing” the problem. Reforming the FDA It All Starts with a New Commissioner! NOT! “[The Committee on Energy and Commerce in the US House andRepresentatives] has found that FDA not only failed in its basicmission, but refused to admit its failures and take steps to protectAmericans from unsafe food and drugs,” said Rep. John D. Dingell(D-MI), former chairman of that committee. “In the 111th Congress, thecommittee will swiftly move FDA reform legislation that is needed toensure FDA does its job.” Now that Henry Waxman is the new chairman,”swift” may be inadequate to describe the changes ahead for the FDA. Thebiggest and possibly most important change, however, is whoPresident-elect Obama and his Secretary of HHS, Tom Daschle, decide tonominate for the new FDA Commissioner. Itseems like everyone in the Pharma Blogosphere and the press isrecommending or wondering who Dr. Andrew von Eschenbach’s replacementwill be. To help take the pulse of various stakeholders, PharmaMarketing News hosted the “Who Should Obama Nominate for FDACommissioner?” survey starting in November, 2008. 475consumers, healthcare professionals, government agency staffers, anddrug industry executives have voted in this survey. This articlesummarizes the results. Update (December, 2011): Replacing the FDA Commissioner may have been a necessary, but NOT SUFFICIENT pre-requisite for reforming the FDA. Not even a reform-minded commissioner like Margaret Hamburg, M.D. — who was nominated to the post after this article was first published — can change things when the FDA is beholding to the Department of Health and Human Services. This was made evident when HHS Secretary Kathleen Sebelius over-rode FDA’s decision to allow the over-the-couinter sale of Plan B One-Step to girls younger than 17 (see “Sebelius vs. Hamburg on OTC Plan B Decision“). Meanwhile, there is a new call for FDA reform that would take the F.D.A. out of the Department of Health and Human Services and make it an independent agency, like the Fed (op cit).